Surrounded and low on ammunition, the police chief of the formerly British-occupied Afghan town of Sangin has told the governor of Helmand province to dig 200 graves for his officers. 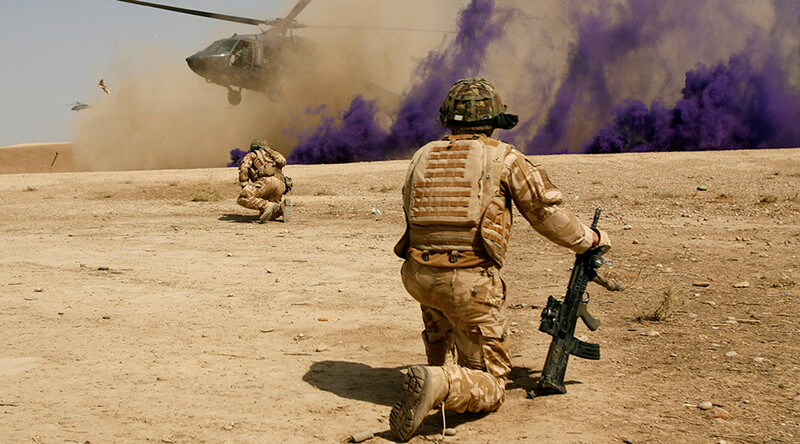 News of the desperate communiqué comes as UK troops are redeployed to Helmand for the first time since 2014. Besieged Afghan security forces have been resupplied by airdrops. The Ministry of Defence (MoD) has said although a small number of troops have been sent back to shore up Afghan forces against a resurgent Taliban, none of those sent will be engaged in combat. With the south of the country in disarray, Sangin, where 106 UK troops died between 2006 and 2014, may be the latest town to fall to anti-government forces. “For Britain now, given the level of sacrifice, the importance strategically of Afghanistan, as an entry point into central Asia, as a potential expansion ground for ISIS [Islamic State] and others, think it is important for Britain to be part of the overall strategy to stabilize the country,” Former UK Foreign Secretary David Miliband told BBC Radio on Tuesday. “Above all that needs to be a political strategy,” he added. Prime Minister David Cameron was allegedly told by military chiefs to leave a bigger consignment of troops on the ground in Afghanistan at the time combat operations ended in 2014. “We should have left a stronger presence of 1,500 [troops],” one anonymous former commander told the Times newspaper. “The government was prepared to take the risk because they wanted to win the election. They just decided that they were not going to be a part of it,” he added. One former Royal Marines officer said the shortcomings of the Afghan security forces were obvious to all who had spent time on the ground. On Tuesday, the Taliban released a statement mocking the UK in light of the new deployment, pointing to Britain’s history of failure in Afghanistan. “Our message to the British government and people is before attacking Afghanistan is to read the history of your forefather’s (sic), and you should have learnt from their repeated defeat in Afghanistan,” they said. The group said the “Afghan people,” for whom they claim to speak, would endure any sacrifice to win. “The involvement of the British forces once again showed to the world that with all those modern equipment the Kabul administrator isn’t capable in controlling or holding the ground,” the group added.